Xavier University Bhubaneswar (XUB) in collaboration with Sportscom, the Sports committee of XUB hosted the very first edition of Xavier Meet – a Jesuit Sports Extravaganza, from 18th-20th January 2019 at the Xavier City campus. The sports fiesta is a planned rotating event, where every year, a new Jesuit B-school hosts the event. This year, XUB organized the 3-day event which celebrated the spirit of togetherness, created a gamut of memories and built bonds for a lifetime, besides honoring the passion for sports. Colleges like XLRI, Jamshedpur and XIM, Bhubaneshwar battled it out with the home team- XUB, for the trophy across the twelve formal sporting events organized. 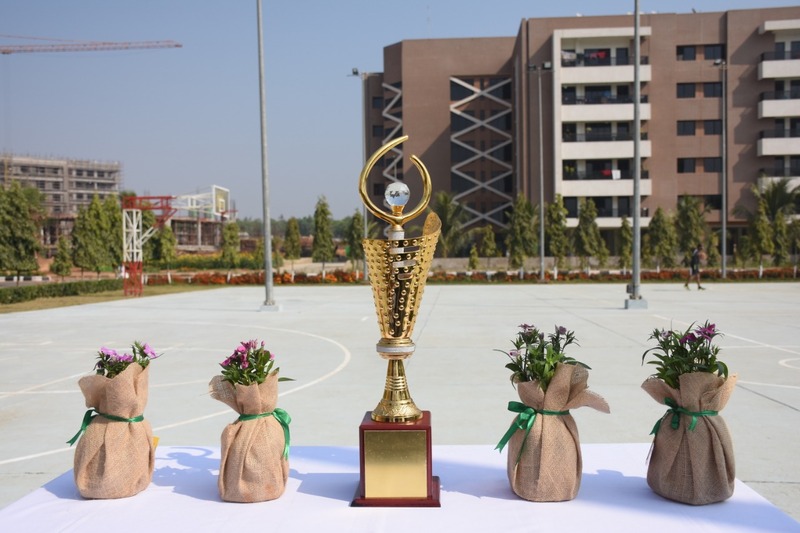 The sports fest commenced with the inauguration and unveiling of the trophy by Fr. E. A. Augustine, S.J, Registrar, Prof. Dr. Sutapa Pati, Co-Ordinator, Student Affairs (XUB) and P.K. Mohapatra, Hostel In-Charge. It was followed by the sapling planting, as a mark of sustainability. The first day began with a cricket match between XLRI and XIMB with XLRI emerging victorious in the first match. The evening saw an intense match of football followed by an equally exciting basketball match between XIMB and XUB. The day finally ended with a movie night organized to entertain all the students. Everyone embraced their inner “filmophile” and enjoyed ‘Chak De! India’. The second day of Xavier Meet’19 continued with the momentum of the first day. It saw a series of intense and exciting clashes, with the Badminton and Table Tennis tournaments coming to an end. The Badminton series ended on an enthralling note, with the home team, XUB winning the finals and XLRI as the runners-up. In the table tennis tournament, XLRI was adjudged the winners, with XIMB finishing as the runners-up. The foosball matches saw XUB as the winner, while the XLRI team was declared as the runners-up. The Chess tournament resulted in XLRI winning it up against XUB in the finals. XLRI won it contrary to XUB finishing as the runners-up in the women’s cricket series. In men’s lawn tennis tournament, XLRI aced it versus XUB in the finals. Women’s throwball saw XLRI winning it against XUB. The XLRI women team aced the volleyball finals against the home team, XUB. The evening was followed by an Open Mic Event, that witnessed spectacular performances by the passionate students. The third day marked the finals for cricket, football, volleyball, throwball, carrom and basketball. XLRI emerged as the winners, with XUB as the runner-up in football. In men’s cricket, XLRI was declared the winners, with XIMB finishing as the runners-up. Women’s cricket saw XLRI winning it against XUB in the finals. In men’s volleyball XLRI aced it versus XIMB in the finals. 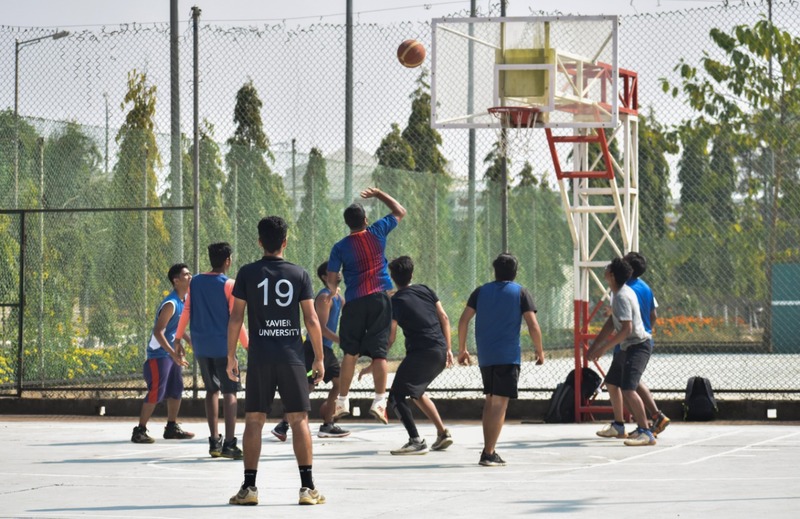 Men’s Basketball saw XLRI as the winner, while the runners-up was XIMB. Carrom saw XLRI winning it against XUB. 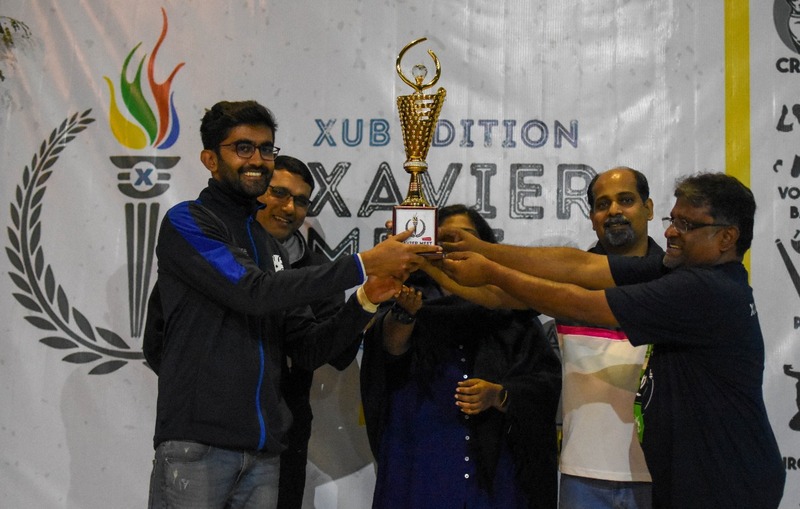 Overall, XLRI lifted the trophy registering the maximum wins in this fiesta, with XUB and XIMB as the first and second runners-up respectively. The extravaganza ended on a note of exhilaration with a heart-warming speech by Fr. S. Antony Raj, S.J, Deputy Registrar, XUB and Sarthak Das (General Secretary – XUB). It was followed by the prize-distribution ceremony. The closing ceremony celebrated the success of the meet, alongside the spirit and passion for sports.